Emarketing: What is email marketing? Internet marketing, otherwise known as online marketing, has become one of the most vital parts of any company’s marketing plan. Internet marketing has massively grown in scale and sophistication over the years. Emarketing has aligned with other important digital channels such as Search Engine Optimisation (SEO) and Pay Per Click (PPC). But digital marketing is constantly changing and it is important to keep up to date. It is simple. However, it is also quite clever! To be honest, it makes me want to click and see what’s hiding under this ad. Unfortunately for us, online marketing has become quite complex – and, in many cases, requires a lot of thought about design, targeting, segmentation, and implementation. But it also presents a much better experience to the end-user and greater insights for the marketeer. We can frequently find questions sounding like these: What is Email Marketing? What is Emarketing? What is newsletter marketing and what is mailshot marketing? In fact, most of them refer to the same email marketing, which includes the deviations from the main terminology – newsletter marketing and mailshot marketing. Email marketing is a form of digital marketing that uses electronic mail [i.e. emails] to communicate promotional messages at scale. Email is Power. Emarketing is now as important as SEO or PPC, and, to be successful, your digital marketing strategy has to include it. It is cost-effective. Email marketing offers you a great reach at a low price, in comparison to many other digital advertising channels. It offers invaluable tracking information. Emarketing can offer you great insights about your audience and their preferences. Also, if done properly, you can track an exact return on investment. Emarketing can be personal, relevant and very targeted. Indeed, many email providers will allow you to use personalisation and audience segmentation. You can read more about marketing to different generations here. Email marketing is very flexible. You can adjust your sending frequency, types of content, template layouts when you need to. In addition, it will always give you plenty of opportunities for continuous optimisation. Emarketing helps any business: large and small. Any of you can build a mailing list, and start using email marketing. It does not matter if you are a blogger wanting to promote a new blog post, an entrepreneur running your own business, selling products and services, or even if you are marketing exec of a company. Everyone can benefit. First and foremost, think about how you want to grow your list – is it trying to capture your subscribers through your own website, or using other digital or social media channels to sign up? Most important, think quality, not quantity! Look for a platform that is cost-effective, has good capabilities and offers at least basic automation. Also, make sure it is user-friendly – you have to understand how to use it, learn to use it, or at least find the one that has great customer support to help you out. Create your email strategy: who are your readers? What do they want and expect? What types of emails and how often do you need to deploy? Also, read about email marketing best practices and different rules and laws regulating email marketing across the globe. Design and build your email templates. If you have HTML knowledge you can do it yourself, if not – you can always get them built externally. Remember, you can import the templates into the tool you are using. Also, don’t forget that many platforms nowadays offer a range of free email templates that you can customise yourself. 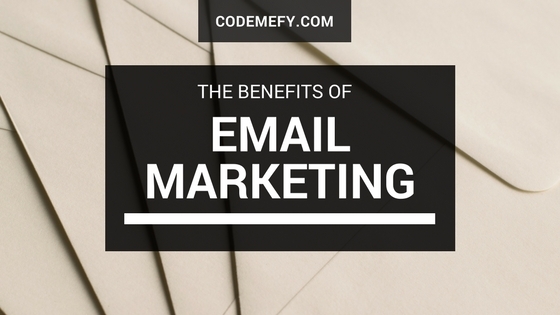 Email marketing offers many benefits to businesses. Thus, it has earned its rightful place as one of the most important digital marketing channels. According to emarketer.com email marketing has a median ROI (Return On Investment) of 122%, and that is more than four times more than social media, paid search and even direct mail. If you yet haven’t started using emarketing, it is high time to! Reach out to me for if you need any help – I am passionate about email.